Social impact strategy—this is a fancy way to describe a plan that a business puts in place to make a positive difference in its community or even the world. Think TOMS: You buy a pair of shoes, they give a pair of shoes to a someone in need (and they’ve expanded that to include eyeglasses and clean water with their coffee bean program). You know that when you make a purchase at TOMS, part of what you spend will go toward making, well, a social impact. Several businesses have adopted social impact strategies, especially in recent years, as consumers have gravitated toward supporting companies they see making a tangible, positive difference. If your daughter has both an interest in entrepreneurship and a passion for a particular cause, she may be especially excited about the idea of starting a business that exists not only to make money, but to make an impact as well. Here are five ideas for young girlpreneurs who want to give back. Sell homemade pet treats. Choosy pet owners are always looking for treats for their fur babies that are natural, healthy, free of fillers and full of the good stuff. If your daughter has a soft spot for animals, you could help her develop a recipe for dog treats that she can sell with a strategy to donate a percentage of her profits to a local rescue organization or animal shelter. Mow lawns or do small gardening projects. If your daughter lives to be outside, dig in the dirt, or show the environment some love, this is a great idea for when spring rolls around in a few months. Landscaping companies can be expensive, and gardens can be time-consuming, but most homeowners want their yards to look nice and many would love to grow their own veggies—and that’s where your daughter could step in. She could advertise her services as cheaper than a landscaping company as well as backed by a promise to give a percentage of her revenue to her favorite green nonprofit, whether it’s a local organization that’s eco-friendly or a national org like charity: water. Help plan birthday parties, face paint, or watch younger children. Does your daughter love little kids? Because parents of wee ones (think the five-and-under crowd) definitely like help. Whether it’s being there to keep the kids focused or busy during a birthday party or helping to entertain them during a social event so the parents can mingle without distraction, your daughter could offer her services as a toddler whisperer (or someone who’s great with little ones) while promoting the fact that she’ll give part of her salary to an organization that loves and serves kids—No Kid Hungry, for example. Tutor. If your daughter excels at math, knows a second language, or is gifted in a skill like art or music, she may be able to help tutor younger students in something she’s proficient at. She can create flyers, promote her services on social media, or get the word out through word of mouth that she’s not only interested in helping local students, but children in other communities, as well. There are several nonprofits that help provide education for underserved kids, both in the U.S. and around the world, that she could research and support with part of her proceeds. Sell baked goods along with the beverage. Offer a choice of beverages, including fruit-infused water or juices. Add a choice of additional syrups and flavors for a small additional charge. Make other lemon-flavored foods and sell them along with lemonade. You could also create a sign for your stand that says, “When Life Hands You Lemons,” and advertise that a part of the proceeds will go to help other children who need it. One organization you could choose to support is Alex’s Lemonade Stand Foundation, an organization that is “fighting childhood cancer, one cup at a time.” Its founder, 8-year-old Alexandra Scott, passed away in 2004 from neuroblastoma, but the foundation continues to raise millions for childhood cancer research, especially during its largest fundraiser, Lemonade Days, which will take place from June 1-9 this year. Learn more about the foundation and how you could participate in Lemonade Days here. 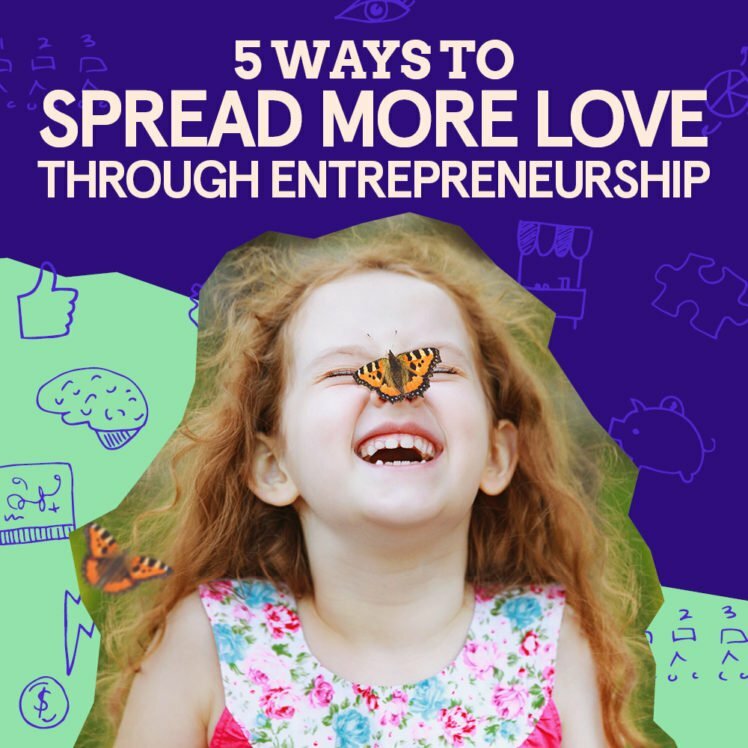 By helping your daughter think about entrepreneurship as a way to create her own path in the world and give back, you’re not only teaching her important life skills, but fostering a heart of compassion and altruism, as well.